I like to gauge the success of our family trips by the number of smiles and giggles. 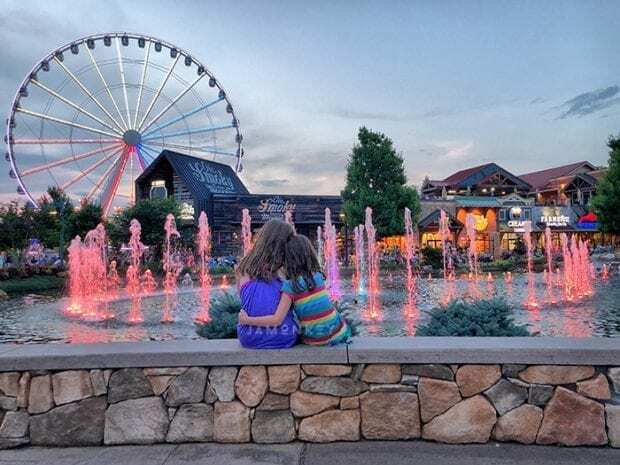 We recently visited Pigeon Forge together, and the trip rated high on the summer fun side. 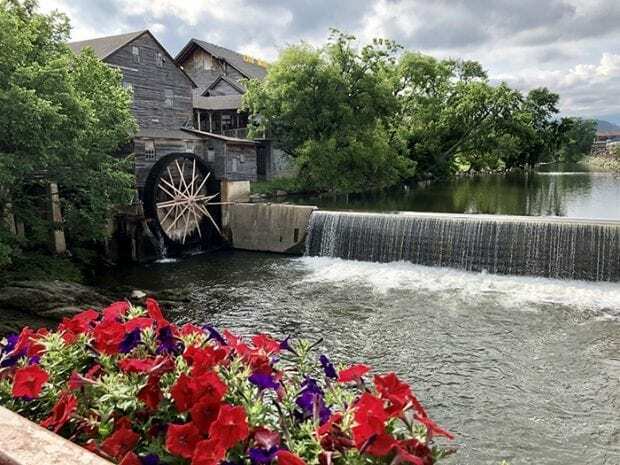 There are so many great things to do, places to stay, and sights to see in Pigeon Forge, Tennessee and I want to share some of our favorites with you. I was hosted by the Pigeon Forge Tourism Department. All opinions are my own. 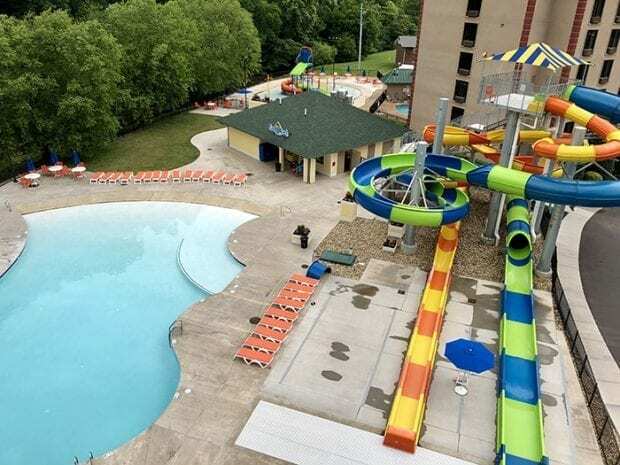 During our stay in Pigeon Forge, we stayed at the Country Cascades Waterpark Resort. We arrived at the resort right as a storm was starting to roll into town. We visited our spacious room to drop our stuff off and admire the water park that is available for guests. Staying at a resort that you can enjoy other amenities outside of sleeping in a comfy bed is top on my list because you can enjoy downtime with the whole family. After the storm passed the girls wanted to go straight to the water slides. This was the first time Squish has gone down a water slide, so it was a fun experience seeing her joy. 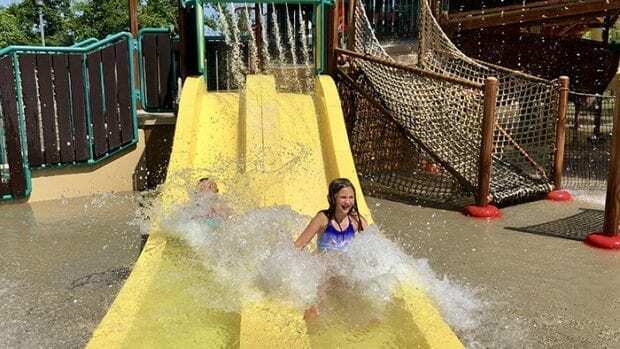 The water park has two fantastic water slides, one you can ride down on a single or double tube. There is a walk in pool and also a splash island for younger children to play on. They also serve an excellent breakfast. Make sure you get there early though, it gets crowded after 9 am! Here is a video of our trip and I caught the first trip down the slide. Pigeon Forge is known for all their great attractions and fun things to do. So much has changed in the area since the last time I visited. The Island is the latest addition that was a beautiful and fun place to finish our evening. I wanted to catch the sun setting from high above in the Ferris wheel. When the sun goes down, the Island transforms into a multi-colored show with water shows timed to music. We rode The Great Smoky Mountain Wheel and could see an amazing view of the Great Smoky Mountains. There is a fun ropes course for kids to do as well. We stuck to rides on the ground after our ride on the Ferris wheel. It was pretty high up! We did some shopping and found lots of sweet treats to try. Our first full day in Pigeon Forge started at Dollywood Splash Country. Dollywood has two parks that guests can visit, a theme park and the water park. Because it was summertime, we decided to spring for the water park so that we could cool down. Dollywood Splash Country was such a blast. We got there early to secure a chair in the shade. There were so many great waterslides that were perfect for the whole family. There were a few slides that made us a little uneasy, but they turned out to be so much fun. The girls were laughing and giggling the whole time. There are a couple of different areas that are great for the kids just to play and slide. They have lots of lifeguards walking around, and the kid's areas are fenced off, so there is only one exit. Parents have peace of mind that the kids won't slip past them when they are playing. The park is so big we didn't even make it to all the areas to explore. Guess we will need to go back and visit soon! After lunch, some summer storms rolled in so we took the time to check out some of the indoor attractions available in Pigeon Forge. 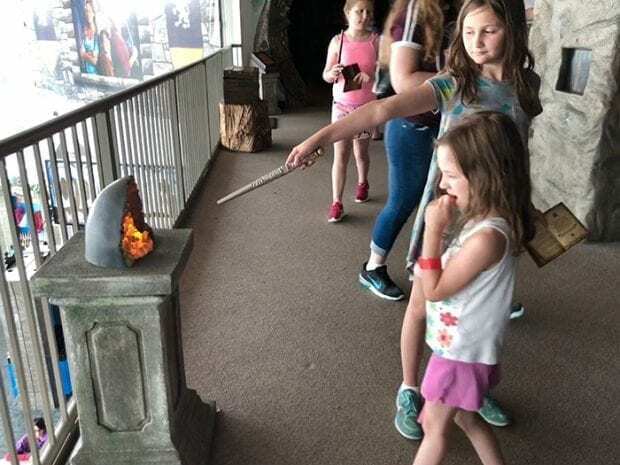 We wanted to give MagiQuest a try because it looks like so much fun and it integrated into the Great Wolf Lodge, so if we play in Pigeon Forge, it keeps our scores, and we can play when we visit the resorts which is pretty cool. You get a wand that you can purchase or use one of their loaners (if you purchase a wand they add more time to your game for free). 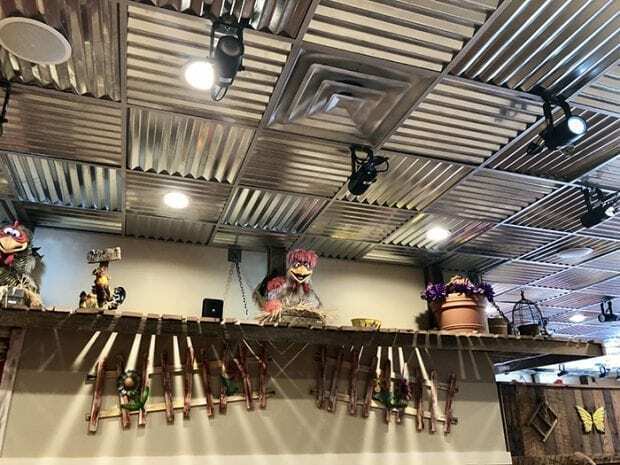 The upstairs has three different area made to look like a village, enchanted wood, and dragon's lair. You go on quests to find items all over like a scavenger hunt. The technology it pretty cool. You have to flick the wand the right way and gather items in the right order to climb the ranks of the Magi. After we ran out time on our MagiQuest game, we played Pirate Mini Golf and tested out the Mirror Maze. We were there most of the afternoon until it was time to get dinner. It was a great way to spend a rainy day. 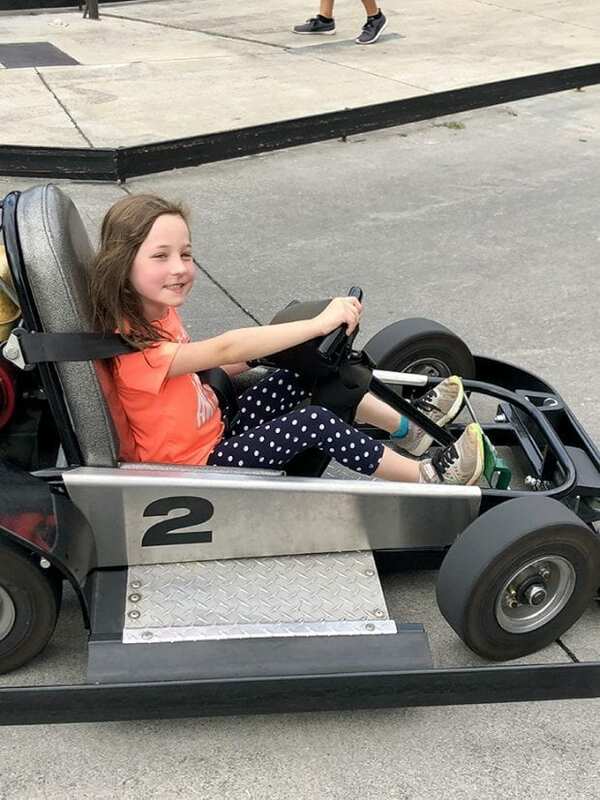 Luckily, the next day it wasn't raining so we got to hang out at The Track to let squish drive her first go-kart. She's always been too little but The Track has a set of kiddie karts that are small and go slow in a little track. She was so excited to get to drive one for the first time. We spent most of the morning driving on all of the great tracks that they have. The wooden track is one of our favorites. There is also a section with carnival type rides for the little ones to ride. Pigeon Forge Snow – Imagine playing in the snow in the heat of summer! This place has snow slopes to tube down and a place to build snowmen. Outdoor Gravity Park – Ride the OGO orbs from New Zealand. This ball is 11 feet in diameter, bouncy, and sits perched at the top of a 1,000-foot hill. Climb inside and go rolling towards the bottom, and slip & sliding —but no tumbling. Pigeon Forge is known for all their great dinner theaters. We got to check out a few great places to eat that the kids really enjoyed. 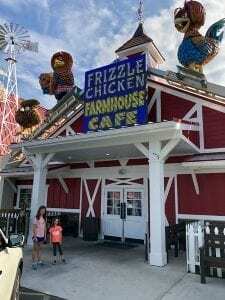 The Frizzle Chicken Farmhouse Café was our favorite place! 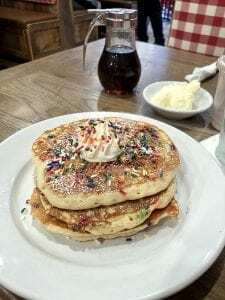 Not only did they have delicious food like the Funfetti pancakes and gluten-free options on the menu, the entertainment is a clucking good time. There are chickens sitting around the entire restaurant and every 15 minutes they start clucking a song for the guests. We were giggling the whole time. See them in action in our video above. Despite visiting Pigeon Forge in the past, this was the first time I got to see a dinner show! We visited Dolly Parton's Celebration A Spectacular Dinner Show and it was great fun. 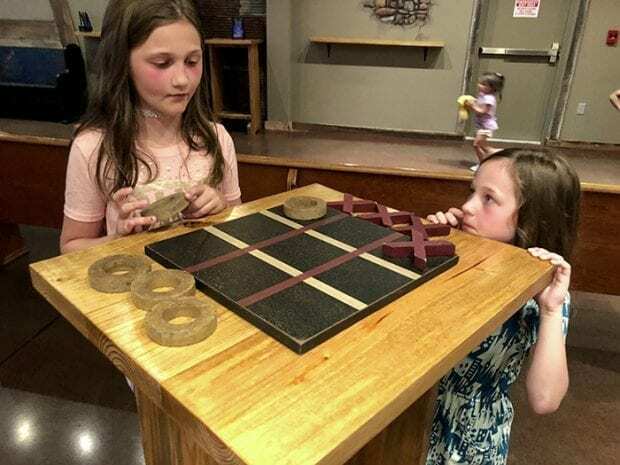 We arrive at the theater early and got to play some great classic games like tic-tac-toe and checkers. They also had magical makeovers that the kids could do before the show. There is also snacks and drinks that can get before your four-course meal. The ringleader came around before the show and said hello to the audience. I ordered a gluten-free option and everything was delicious and our server did a wonderful job taking care of us. Our favorite part in the show was the golden retrievers. What do you expect from dog people!? It was a colorful show that had the girls in aw the whole time. They are still talking about how great this show was. 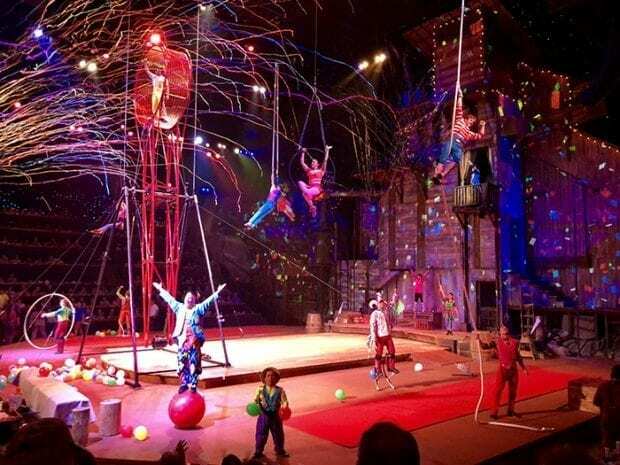 Taking in a dinner show should definitely be on your list of things to check out while visiting Pigeon Forge. Before heading out of town I made sure to stop into the Old Mill district for breakfast and some shopping. They have some of the best baking supplies that are freshly ground at the mill. I brought home some grits and cornmeal for some true southern cooking. Their breakfast is one of my favorites because of the banana muffins they serve before your meal comes out. 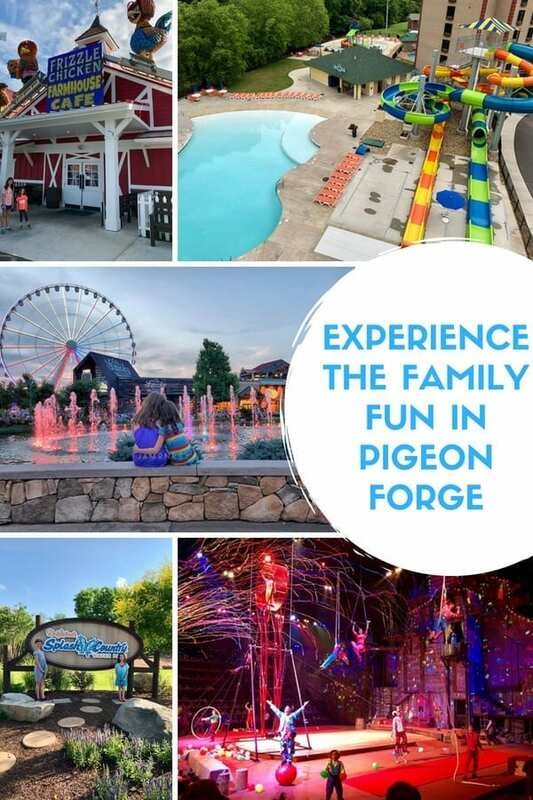 If you're looking for a place to cut loose and have some great family fun, you should check out Pigeon Forge. We have had such a wonderful time every time we have visited.